It’s only a 45 minute bus ride from the skyscrapers and constant noise and motion of Hong Kong’s Central District to a place that feels a world away. 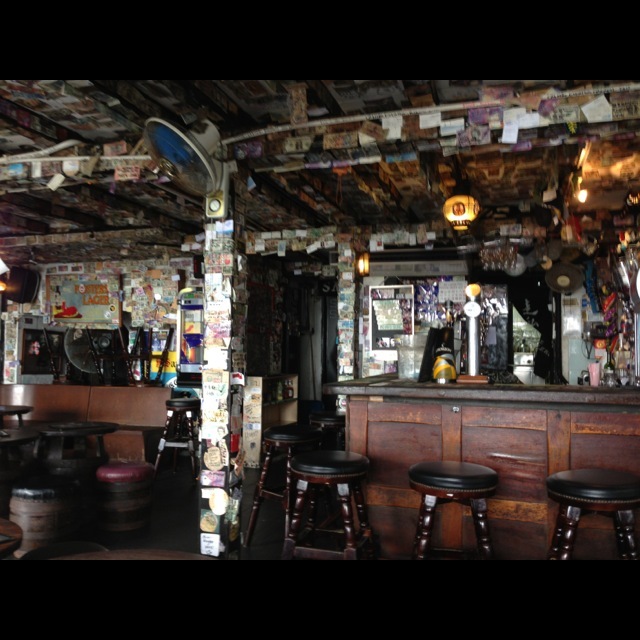 Stanley is on the south side of Hong Kong Island and is well worth a visit. In one respect it can be microcosm of Hong Kong in that there’s a market with stalls and haggling and a bar street that can probably get pretty raucous, but it’s in a lovely setting overlooking Stanley Bay with a promenade, a pier and a beach nearby. Wonder if anyone drinks it? The bars all line up along Stanley Main Street and whilst there might be a couple of classy restaurants hidden here or there, the majority of these places look like watering holes and party places first and foremost. It would be a great place for a pub crawl, particularly if you want to minimise walking. 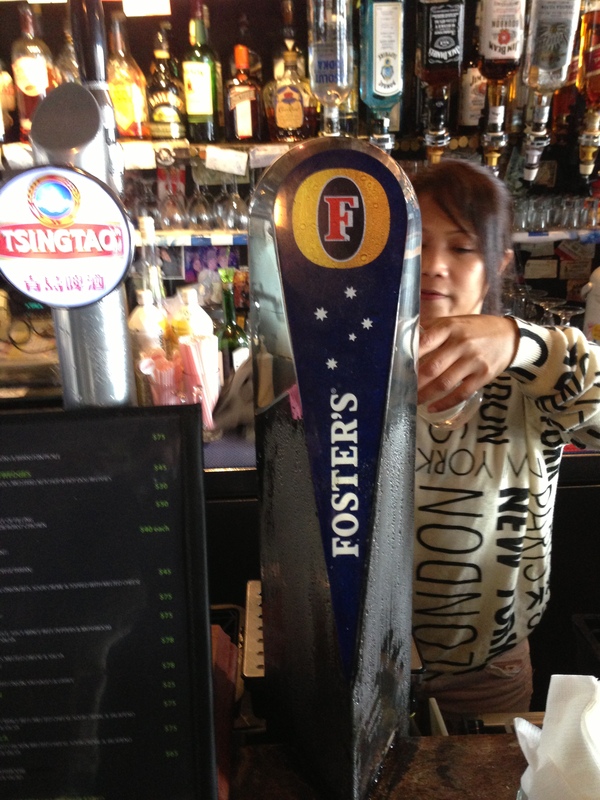 Like LKF, the beers lists aren’t challenging – but Vern’s Place looked like it had a decent range of British Bottled Beer. Many offer outside stools where you pitch up and have a good session of people watching. The sunset would probably go off as well. 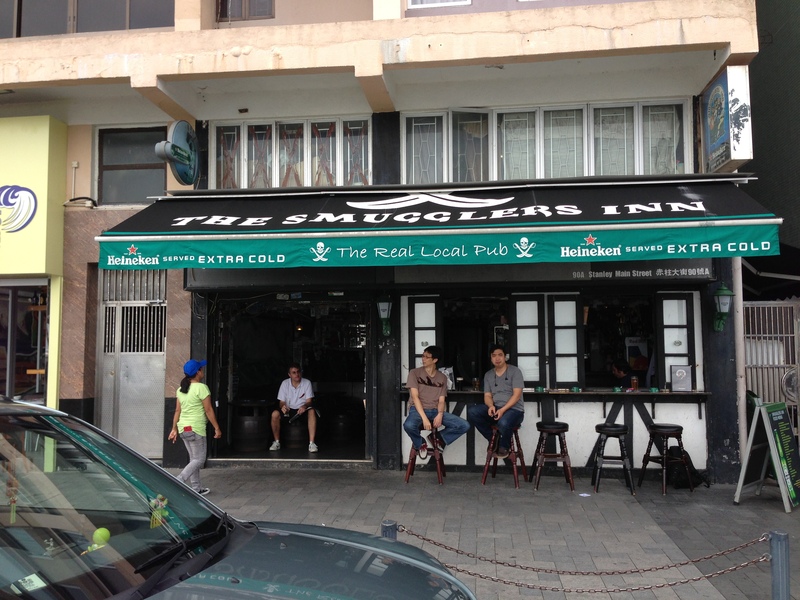 I couldn’t go past The Smuggler’s Inn. It’s low ceiling is covered with business cards and currency signed by visitors over years. It was eerily similar to a bar I visited in Mexico in 2007 that inspired much of the internal decoration of the Cantina in my backyard. There’s a jukebox, a tight range of tap beers and plenty of spirits. Even though it was only 4pm in the afternoon – a crowd of tattoed younger folk decided it was early enough to start ripping into a few shots. 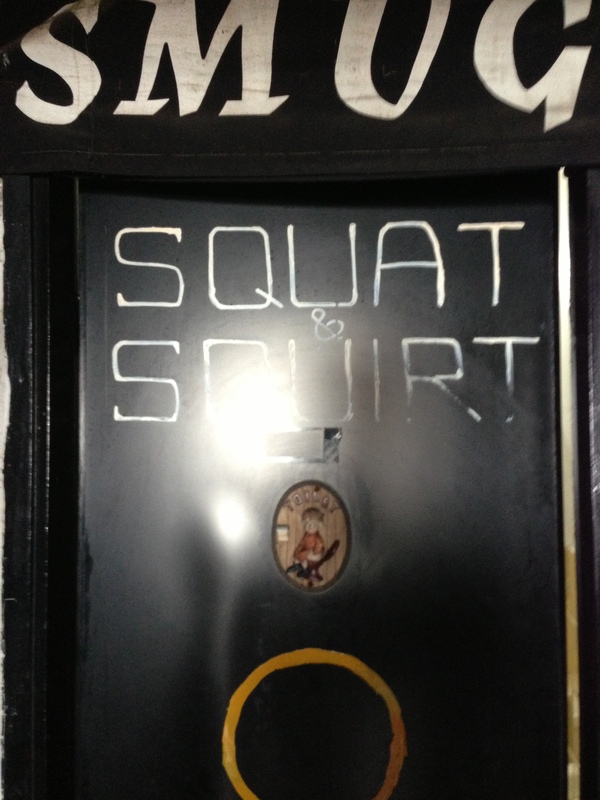 The bathrooms had some of the more tasteful door signage to indicate who goes wear. 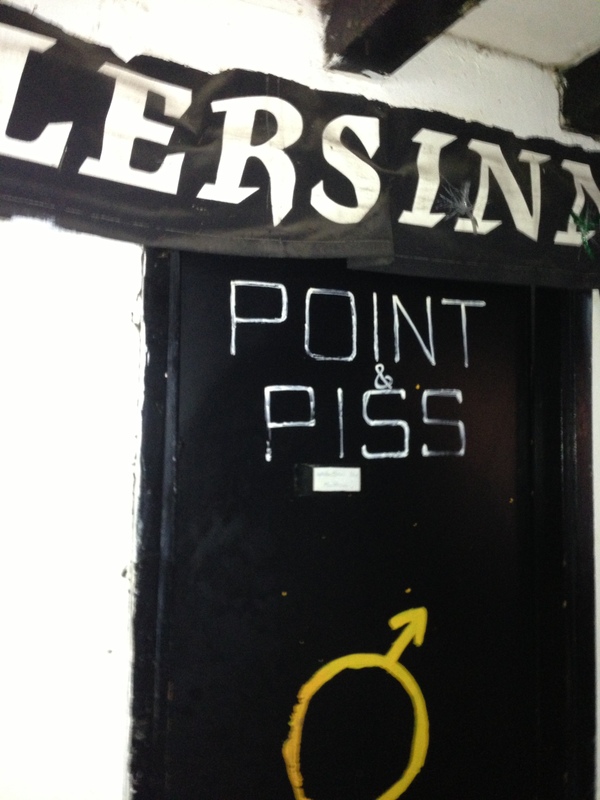 Clearly a trademark, as this signage also features on their souvenir t-shirts – a painting shirt I think. 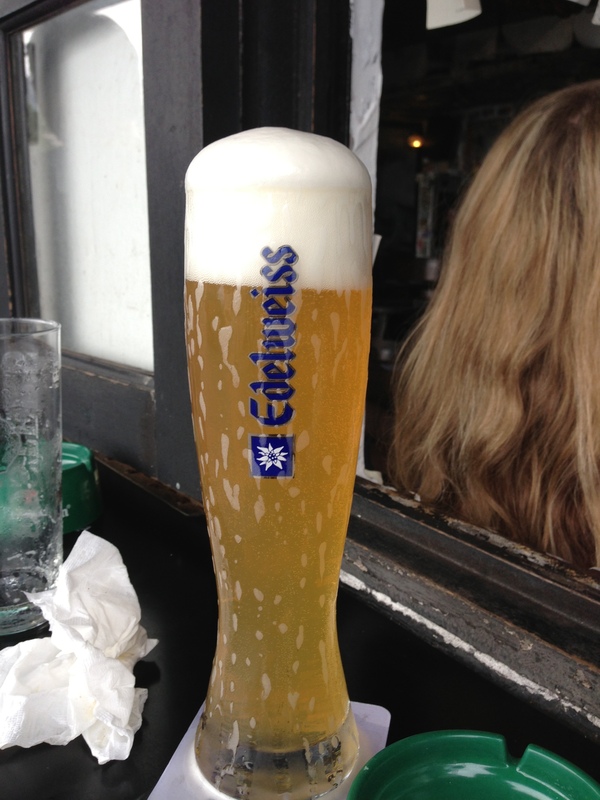 They did offer a unique on tap, which Edelweiss Weissbier Snowfresh. Poured beautifully, it was also ice cold. Now, you’ll often see a wheat beer being described as having a banana nose. No doubting that on the Snowfresh – but this was like sniffing and tasting a bag of Allens Banana lollies – which I don’t mind, just not in a beer.